Amos Otis, Genealogical Notes of Barnstable Families, Baltimore, Maryland: Genealogical Publishing Co., (2007) , p. 367. "Massachusetts Births and Christenings, 1639-1915," database, FamilySearch (https://familysearch.org/ark:/61903/1:1:FZ3M-H7J : 4 December 2014), John Hartshorne, 30 Dec 1696; citing HAVERHILL,ESSEX,MASSACHUSETTS, ; FHL microfilm 14,767. 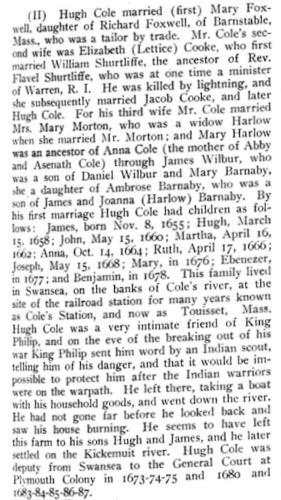 "Massachusetts Births and Christenings, 1639-1915," database, FamilySearch (https://familysearch.org/ark:/61903/1:1:FZ3M-Y97 : 4 December 2014), Thomas Hartshorne, 23 Apr 1699; citing HAVERHILL,ESSEX,MASSACHUSETTS, ; FHL microfilm 14,767. "Massachusetts Births and Christenings, 1639-1915," database, FamilySearch (https://familysearch.org/ark:/61903/1:1:FZ3M-VHD : 4 December 2014), Jacob Hartshorne, 07 Jun 1701; citing HAVERHILL,ESSEX,MASSACHUSETTS, ; FHL microfilm 14,767. 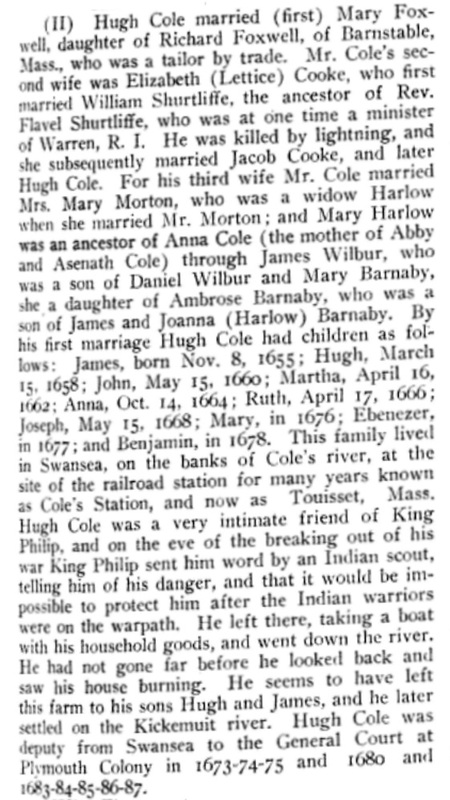 "Massachusetts Births and Christenings, 1639-1915," database, FamilySearch (https://familysearch.org/ark:/61903/1:1:FZ39-PMQ : 4 December 2014), Jonathan Hartshorne, 21 Aug 1703; citing HAVERHILL,ESSEX,MASSACHUSETTS, ; FHL microfilm 14,767. "Massachusetts Births and Christenings, 1639-1915," database, FamilySearch (https://familysearch.org/ark:/61903/1:1:FZ39-TJL : 4 December 2014), Timothy Hartshorne, 07 Sep 1705; citing HAVERHILL,ESSEX,MASSACHUSETTS, ; FHL microfilm 14,767. "Massachusetts Births and Christenings, 1639-1915," database, FamilySearch (https://familysearch.org/ark:/61903/1:1:FZ39-8V3 : 4 December 2014), David Hartshorne, 29 Apr 1708; citing HAVERHILL,ESSEX,MASSACHUSETTS, ; FHL microfilm 14,767. Sarah Frame was born perhaps about 1679. Susanna Frame was born perhaps about 1681. Thomas Frame was born perhaps about 1648. Thomas Frame was born perhaps about 1683. COLBY FAMILY & OTHERS at http://freepages.genealogy.rootsweb.com/~colby/colbyfam, /d281.html. "United States Census, 1920," database with images, FamilySearch (https://familysearch.org/ark:/61903/1:1:MHJM-R3K : 14 December 2015), Geo E Franz, Tacoma Ward 1, Pierce, Washington, United States; citing sheet 5B, NARA microfilm publication T625 (Washington D.C.: National Archives and Records Administration, n.d.); FHL microfilm 1,821,936. 1910 United States. Bureau of the Census. 13th census, 1910 population census schedules, Washington, District of Columbia: Bureau of Census Micro-Film Lab, ([19--?]) , NEW HAMPSHIRE > MERRIMACK > WILMOT TWP, Series: T624 Roll: 865 Page: 178. "New Hampshire Marriage Certificates, 1948-1959", database with images, FamilySearch (https://familysearch.org/ark:/61903/1:1:QKJ7-8D92 : 15 October 2015), Kenneth Roy Woodward and Madeline Diana Ticeus, 1950. "Massachusetts Births, 1841-1915", database with images, FamilySearch (https://familysearch.org/ark:/61903/1:1:FXZN-8GD : 1 March 2016), Josephine Curtis French, 1868. "Massachusetts, Town Clerk, Vital and Town Records, 1626-2001," database with images, FamilySearch (https://familysearch.org/ark:/61903/1:1:FH57-D4M : 27 April 2016), Nellie Matilda Howard French, 24 Oct 1878; citing Birth, Chelsea, Suffolk, Massachusetts, United States, , town clerk offices, Massachusetts; FHL microfilm 482,889. "Massachusetts Marriages, 1695-1910," database, FamilySearch (https://familysearch.org/ark:/61903/1:1:FHHS-WLX : 4 December 2014), Wm. H. Roys and Roena I. Fretts, 28 Nov 1860; citing reference p7 cn43; FHL microfilm 250,248. "United States Census, 1870," database with images, FamilySearch (https://familysearch.org/ark:/61903/1:1:MDSV-2FZ : 17 October 2014), William Roys, Massachusetts, United States; citing p. 19, family 160, NARA microfilm publication M593 (Washington D.C.: National Archives and Records Administration, n.d.); FHL microfilm 552,101. 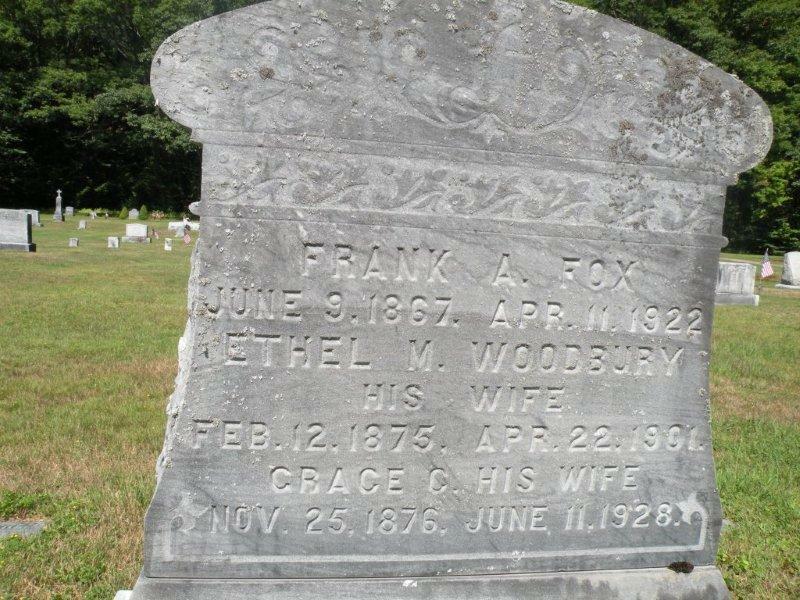 "New Hampshire Marriage Records, 1637-1947," database with images, FamilySearch (https://familysearch.org/ark:/61903/1:1:FL8H-G1H : 12 December 2014), Alvin Arthur Woodward and Blanch Ina Friend, 25 Jun 1919; citing Franklin, , New Hampshire, Bureau of Vital Records and Health Statistics, Concord; FHL microfilm 2,070,748. "United States Census, 1900," database with images, FamilySearch (https://familysearch.org/ark:/61903/1:1:M3YC-ZKB : 20 January 2015), Blanch I Friend in household of Irad Taggart, Manchester city Ward 10, Hillsborough, New Hampshire, United States; citing sheet 38A, family 759, NARA microfilm publication T623 (Washington, D.C.: National Archives and Records Administration, n.d.); FHL microfilm 1,240,948.